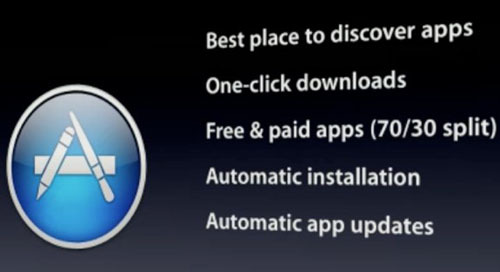 Yesterday Apple revealed that its Mac App Store will be opened on Jan. 6, 2011. New App Store will offer both paid and free applications for Mac OS X Snow Leopard in such categories as Utilities, Productivity, Lifestyle, and Graphics & Design. Steve Jobs also told it will be available in ninety countries at launch. "The App Store revolutionized mobile apps. We hope to do the same for PC apps with the Mac App Store by making finding and buying PC apps easy and fun. We can't wait to get started on January 6". MobileMe users report about multiply bugs in the service. Some of them do not satisfy with service's email, photo/file hosting, and syncing capabilities and experience performance and access issues while others believe that the $99 annual price is too high. It’s reasonableб because the "Find My iPhone" service that had previously required a MobileMe subscription is free for iPad, iPhone, and iPod touch users running iOS 4.2. Caris & Company analyst Robert Cihra today published a note to investors where he appraises Apple's growth as "stunning" and says that iPad will cause approximately 50% of all growth for the company in 2011. He explains that Apple's success was reached by effective approach through innovation, while the company's competitors are lost "in a sea of otherwise commoditized hardware". 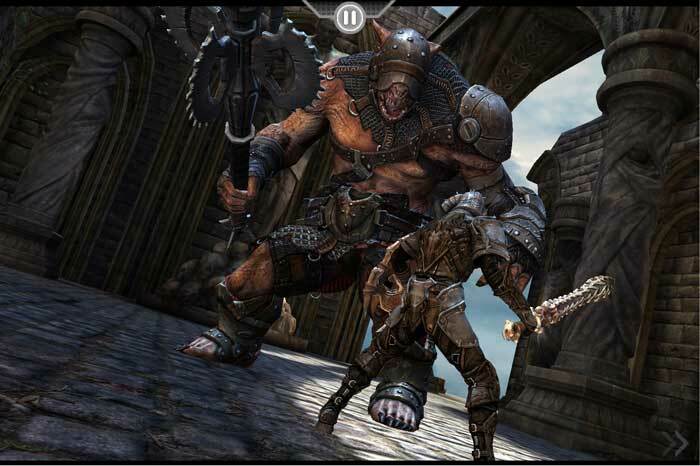 This Tuesday Epic Games and Chair Entertainment announced that their much-anticipated game Infinity Blade will appear in the App Store on December, 9. The title will be supported by iPhone 3GS, iPhone 4, iPod touch 3G and 4G, and the iPad. The price will be $5.99. Infinity Blade is announced to be a universal game, which means that users will be able to purchase and then play it on multiple devices, like an iPad and iPhone. It will also feature a support with Apple's social gaming network Game Center. A 7-inch tablet is reported to be faster that iPad with its $500 price tag. Apple to Launch Newly Designed MacBook Pro in April? Apple is rumored to plan to launch an all new MacBook Pro in April 2011 alongside an update to Final Cut Pro. 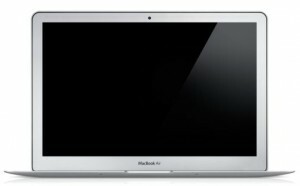 The new design seems to be similar to the 2010 MacBook Air. The new MacBook Pros will have solid state storage and 512GB memory. Apple will remove the optical drive and pushed to market Light Peak optical cable interface. Apple is likely not to replace the traditional 13" MacBook Pro and leave only one legacy 15" design in the lineup. Prices will vary from $1,799 for the traditional model with upgrade options available to $1,999 for the new MacBook Pros and scale up according to configuration. Yesterday Marco Boglione, who is an Italian private collector and businessman, bought at Christie's auction house in London one of the Apple's first computers for $174,000. According to the Associated Press, the Apple I was in superb condition and Boglione will pay something like $210,000 after tax. When Apple I was released in 1976, its price was $666.66. There were only 200 units made, and only from 30 to 50 are assumed to still exist. Earlier Christie's estimated that their Apple I computer will be bought for $160,000-$240,000. Now it will be shipped to its new owner in the original box and with a signed letter from Apple CEO and cofounder Steve Jobs. 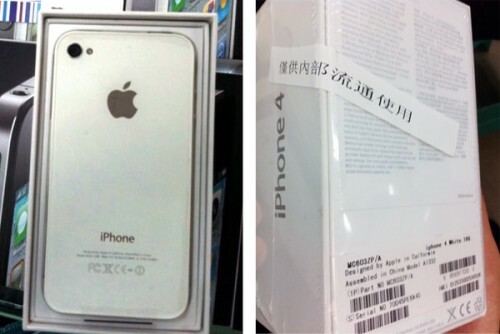 Real White iPhone 4 Handsets Appear On Chinese Market? GizChina reports that the genuine white iPhone 4s are being sold by unofficial resells, that means it is being sold on the Chinese gray market. As you can see from the above image, the handsets appear to be real, though it hasn’t yet been confirmed. The boxes, in which the device comes in, are marked with a label warning the phone should be used for internal company use only and not for sale. Currently, the handsets are selling for around $899. This price, obviously, is well above the official retail price of the regular black iPhone 4 in China. The Apple I personal computer, the first Apple’s product, will go on sale in Christie's auctions on November 23. 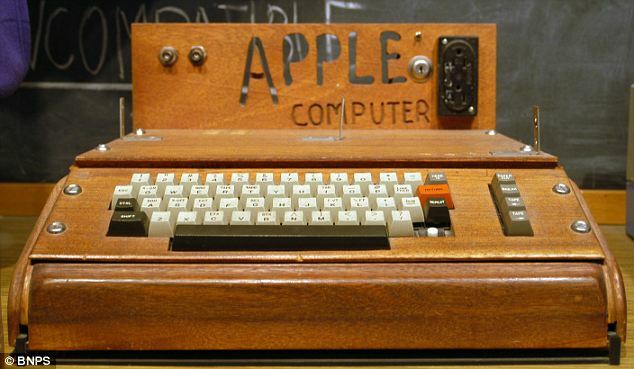 The computer was sold out in Jobs’ parents’ garage in 1976. Estimated price range is $160,000-$240,000. In 1999, an Apple I reportedly sold for $50,000. Now the computer will sell for over 60 times its original cost $666.66 apiece. Only 200 of these machines were produced and only 30 to 50 are still in existence. 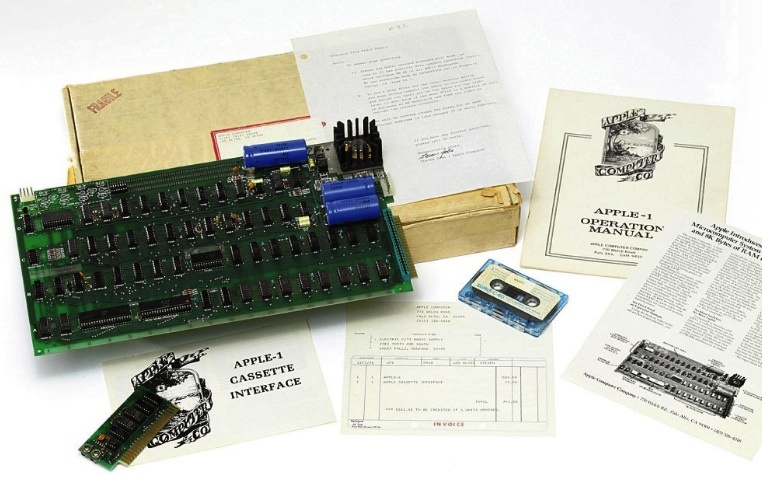 The Apple I will be on sale in its original shipping box that shows that the unit shipped from Jobs' parents' house and with the Apple I cassette interface, as well as a signed letter from Apple cofounder Steve Jobs. 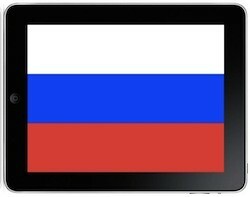 Yesterday, 9th November, the iPad was officially launched in Russia. Six models of the device are now available in three retail chains: M.Video, Bely Veter and re:Store. The iPad will be on sale only in five cities: Moscow, Saint Petersburg, Volgograd, Rostov-on-Don, and Kazan. There are only 3,000 to 4,000 iPads available in the country on launch. But by the end of the year Apple plans to ship forty to fifty thousand units to Russia. Prices range from 19,990 rubles (US$650) for the 16GB WiFi model to 32,990 rubles (US$1,075) for the 64GB WiFi+3G model. However, it seems that those Russians, who wanted to get the iPad in Russia, had already bought the one abroad or in the grey market, where price for the device reached 100,000 rubles, or US$3,256. Obviously, the iPad apps are more expensive than those for the iPhone/iPod touch. But you probably don’t know that their prices increased in the past six months. 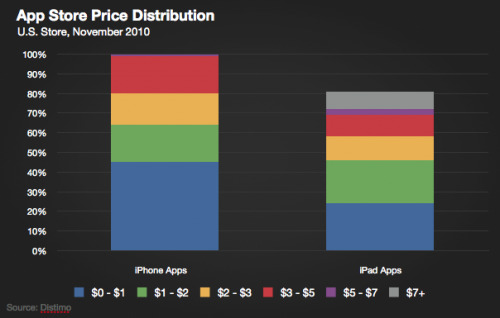 The average price for the iPad app increased from $4.34 in April 2010 to $4.97 in October 2010 (+14.5%). Prices for the iPhone apps increased only from $3.94 to $4.03 (+2.3%). Moreover, now developers prefer to create applications compatible only with the iPad. Although iPhone apps cost less than their iPad counterparts, the iPad only accounts for 13% of the total 300,000 apps available in the App Store, and just 7 percent of all apps are universal. 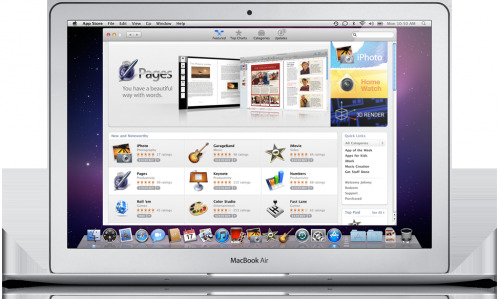 iWork '11 to Launch Alongside Mac App Store in Early 2011? People close to Apple claims that iWork '11 productivity suite is finished and ready for launch but will be released alongside the Mac App Store in early 2011. Initially iWork '11 was planed to be launched alongside iLife '11 last month and its release was held back at the last moment for unknown reasons. Now Apple is planning to launch the new productivity suite alongside the forthcoming Mac App Store. The application will include Pages, Numbers and Keynote bundles, which may be available for purchase exclusively through the Mac App Store for $19.99 each, below Apple's current $79 price for the complete retail box suite. 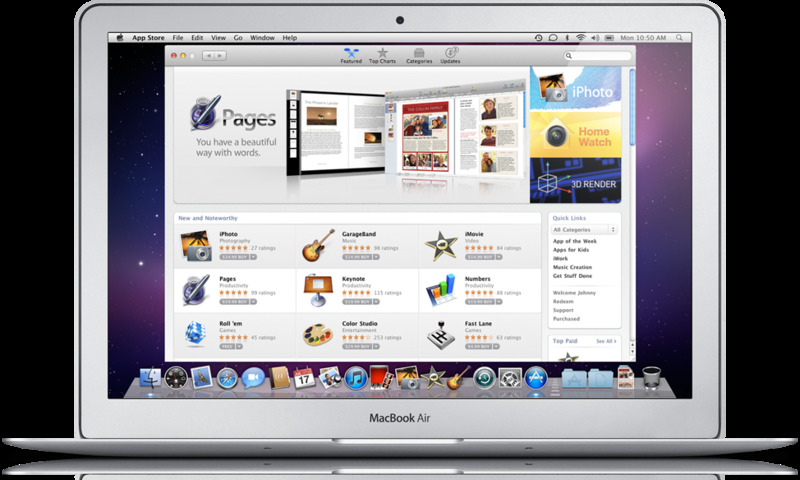 The Mac App Store should debut on January 18th, 2011. Last week the company began accepting submissions from developers who would like to include their applications in the Mac App Store. Developers will take a 70 percent cut of sales, while Apple will retain 30 percent. In the screenshot above, you can see a Macbook Air with a picture of the new Mac App store, which divines some potential prices for Apple's official apps. This is directly from Apple’s website. So, what are the prices? Turns out they're pretty close to current software prices. The iLife apps are priced out at $14.99, while the iWork apps are priced at $19.99, and when you add them all up, they cost about the same as the bundles you can buy in the Apple retail store. There's also a few other titles at various prices. There's a dice game called Roll 'Em which is priced for free, an app called Color Studio at $29.99, and another game called Fast Lane priced at just $4.99. If this is a real picture of what some of the Mac apps might cost then it will be interesting to see what we get when the store officially opens. 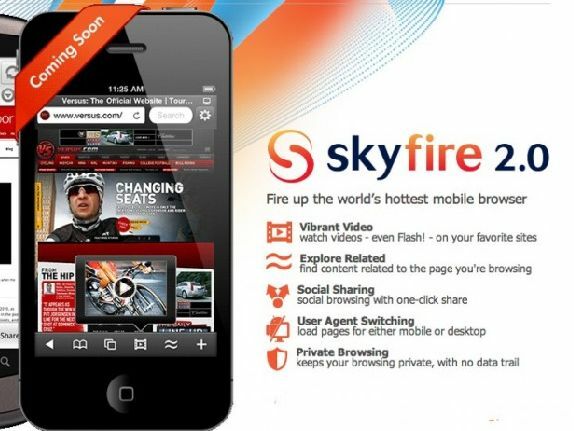 A new iPhone and iPad mobile browser from Skyfire was recently approved by Apple. This new iOS application converts Flash-based video to HTML5 for iPhone, iPod touch and iPad users. The app, which is priced at $2.99 and tomorrow will be available for download from the App Store, activates a function that allows Flash video content in the browser to be sent to Skyfire's servers, converted to HTML5, and sent back to the device for display. However, it won't work with Flash-based games, which require interactivity, or popular TV streaming site Hulu. Katy Huberty, who is a well-known analyst at Morgan Stanley, posted a new report, where she notes that China is a potential growth driver for Apple, but the fact still remains unappreciated by Apple's investors. "...Despite steady upturn since February 2009, we continue to believe investors underappreciate the AAPL growth story, which is driven by one, iPhone market share gains and expanded distribution; two, the iPad market opportunity; three, rising enterprise adoption, and four, the Chinese consumer."